Back with more projects and pages than ever before: 70+ brand-new quick and easy wire jewelry designs. Be the first person to tell us what you think about Easy Metal Jewelry and you'll save $5 on your next purchase! 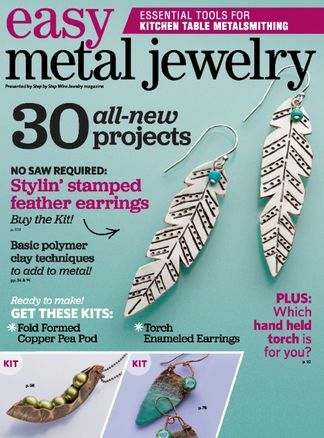 https://www.isubscribe.co.nz/easy-metal-jewelry-digital-subscription.cfm 15101 Easy Metal Jewelry https://www.isubscribe.co.nz/images/covers/nz/541/15101/square/EasyMetalJewelry191610115.jpg NZD InStock /Digital/Crafts & Hobbies/Special Interests Back with more projects and pages than ever before: 70+ brand-new quick and easy wire jewelry designs.